I really don't like candy corn. I think they're gross. 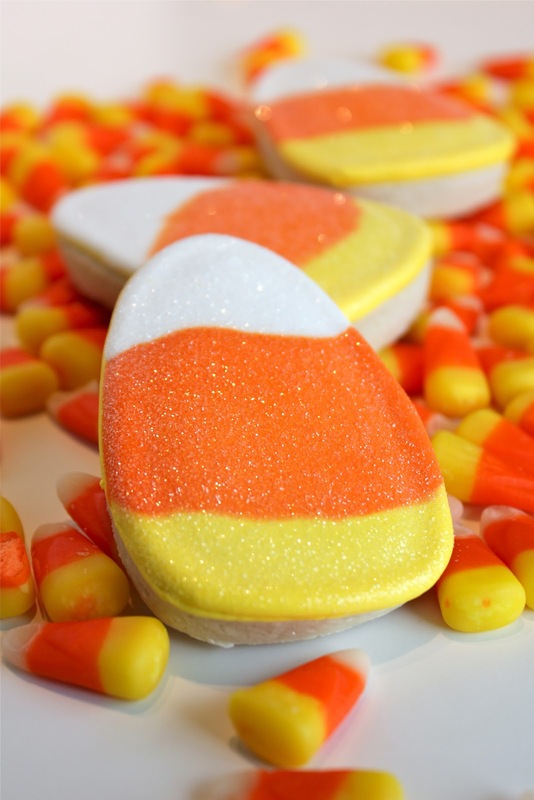 But they are pretty cute and signify Halloween, so I thought I make something I actually like to eat in the form of candy corn! My favorite were the ones with Disco dust (I ran out before I could make all of them sparkle..). Lots more Halloween cookies soon to come!